“WHY WOULD YOU ever sail a boat across an ocean when you could just take a plane flight?” asks River Jordan. 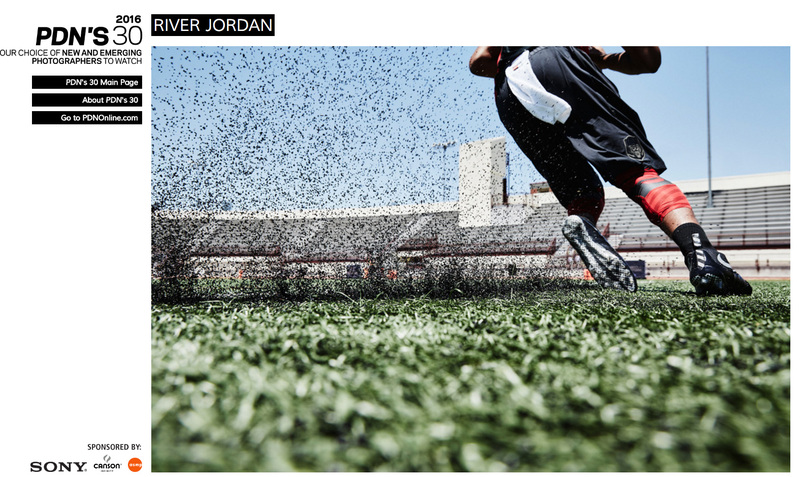 His answer to that question drives both his commercial work and his personal projects: “It’s for the adventure of it.” Jordan has developed an approach to photographing outdoor and team sports that focuses on the emotion of the experiences more than results, on the 5 AM practice more than the winning touchdown. His thirst for adventure began when Jordan was 12. His parents packed up their family of five and moved onto a 47-foot sailboat for three years of cruising. Traveling and meeting fellow cruisers of all stripes instilled in him the personal skills required to build a professional network and coordinate a successful commercial shoot. After his sailing days, Jordan became a high school athlete, and the love of sports he discovered helped him find direction when he embarked on his photography career, after honing his business and lighting acumen through assisting. While shooting a personal project on the daily life of an American football team in Italy, he realized: “This is exactly what I want to do. I want to tell athletes’ stories.” He showed the project to Nike Football, and landed his first big assignment. “I was able to shoot for a lot of the other brands pretty quickly,” he recalls.